TOLSTOY CALLED THE ILIAD A miracle; Goethe said that it always thrust him into a state of astonishment. Homer’s story is thrilling, and his Greek is perhaps the most beautiful poetry ever sung or written. But until now, even the best English translations haven’t been able to re-create the energy and simplicity, the speed, grace, and pulsing rhythm of the original. 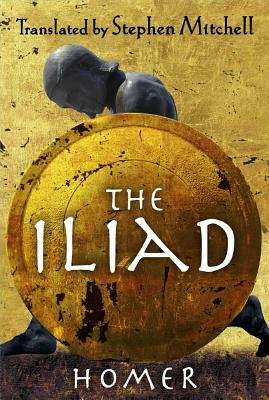 In Stephen Mitchell’s Iliad, the epic story resounds again across 2,700 years, as if the lifeblood of its heroes Achilles and Patroclus, Hector and Priam flows in every word. And we are there with them, amid the horror and ecstasy of war, carried along by a poetry that lifts even the most devastating human events into the realm of the beautiful. Mitchell’s Iliad is the first translation based on the work of the preeminent Homeric scholar Martin L. West, whose edition of the original Greek identifies many passages that were added after the Iliad was first written down, to the detriment of the music and the story. Omitting these hundreds of interpolated lines restores a dramatically sharper, leaner text. In addition, Mitchell’s illuminating introduction opens the epic still further to our understanding and appreciation. Now, thanks to Stephen Mitchell’s scholarship and the power of his language, the Iliad’s ancient story comes to moving, vivid new life. Stephen Mitchell is widely known for his ability to make old classics thrillingly new. His many books include the bestselling Tao Te Ching, the Iliad, Gilgamesh, The Gospel According to Jesus, The Book of Job, Bhagavad Gita, and The Selected Poetry of Rainer Maria Rilke. His website is StephenMitchellBooks.com.